This year it is my mother in law’s turn. In January I asked her to pick a pattern she liked. 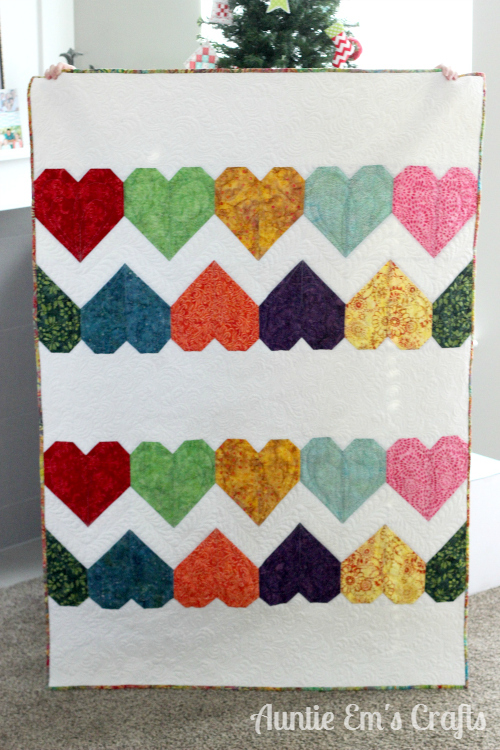 She quickly told me that she wanted a heart quilt that she saw on my Pinterest boards. 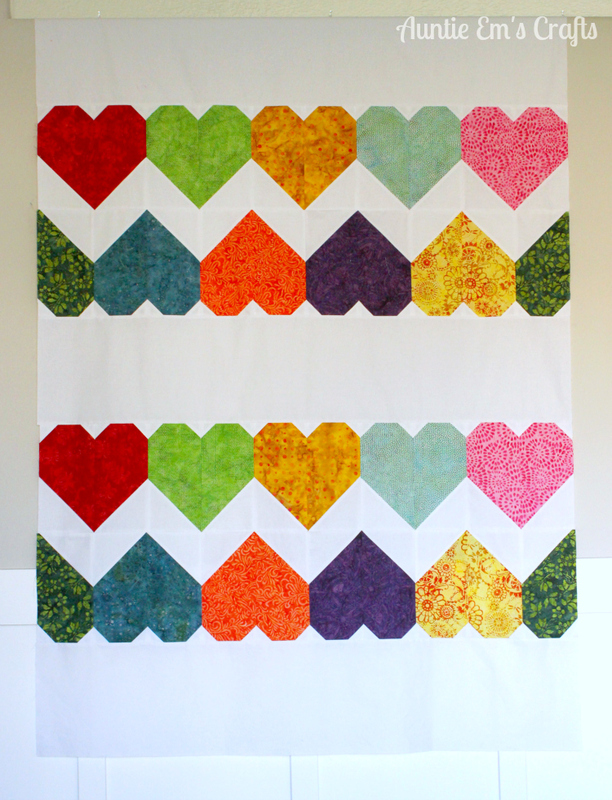 It was the Paper Hearts quilt by Tula Pink, featured in the Sew Red book. 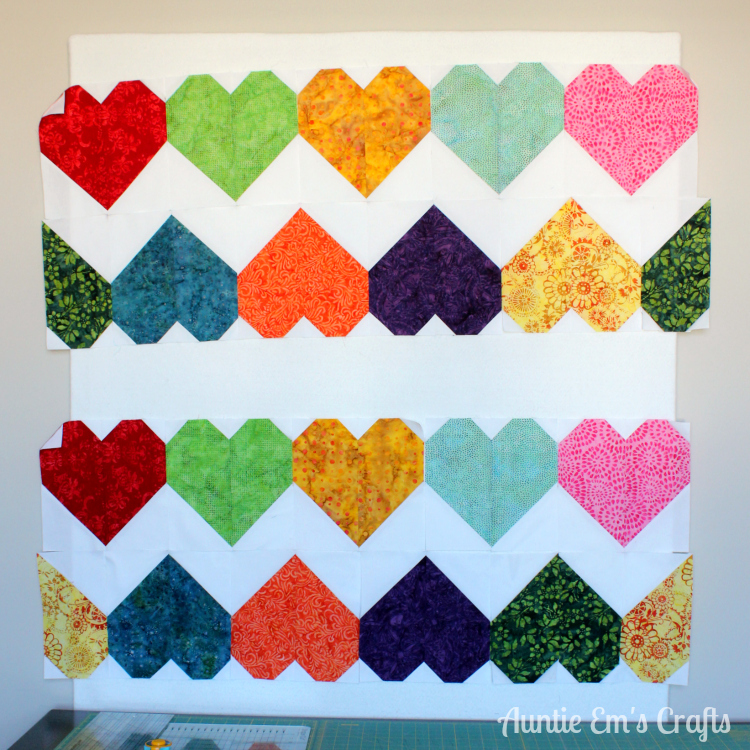 Paper Hearts Quilt by Tula Pink. 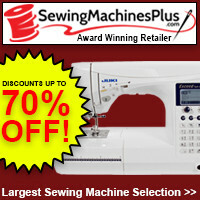 Photo is from the Sew Red book. Luckily I was at Jackman’s, my favorite quilt store in Illinois, picking out fabric before my return back home to Utah. I picked out 8 batiks that I thought she would like to use on the quilt. I didn’t have the book yet, so I wasn’t sure how much fabric to buy. 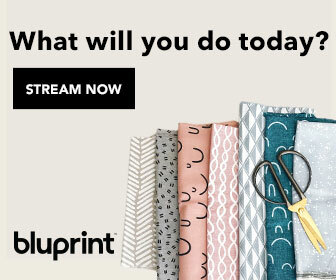 I ended up getting 1/4 yards in each print, which was not enough (the pattern calls for 1/3 yards). Because of this size difference, I had to cut my rectangles and squares smaller. I cut 5.5 x 10.5″ rectangles from the batiks, 5.5 x 5.5″ white squares, and 2 x 2″ white squares. 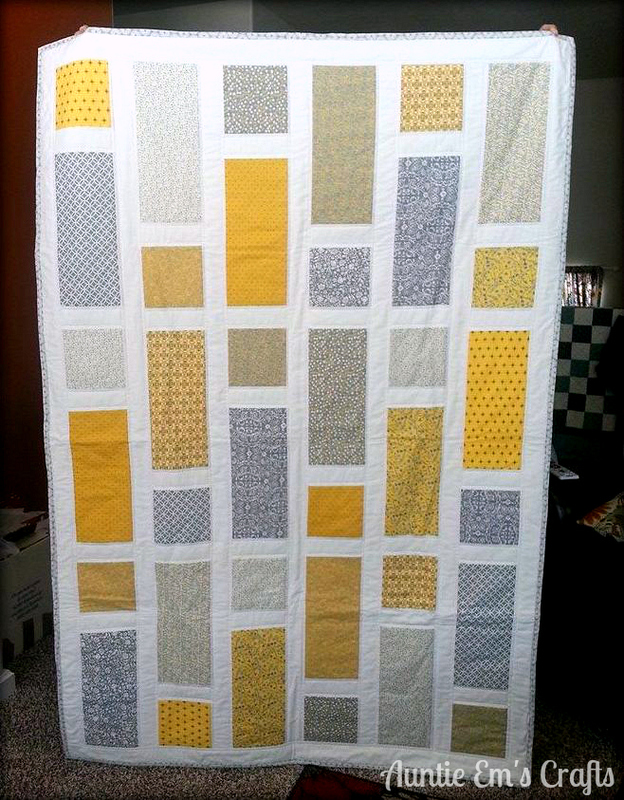 Julie opted for the background fabrics to be all white, rather than white and gray as shown in the sample quilt. I began laying out her hearts on my design board to get an idea of where I wanted the colors to go. Again, because of the size difference, I had to make more adjustments. 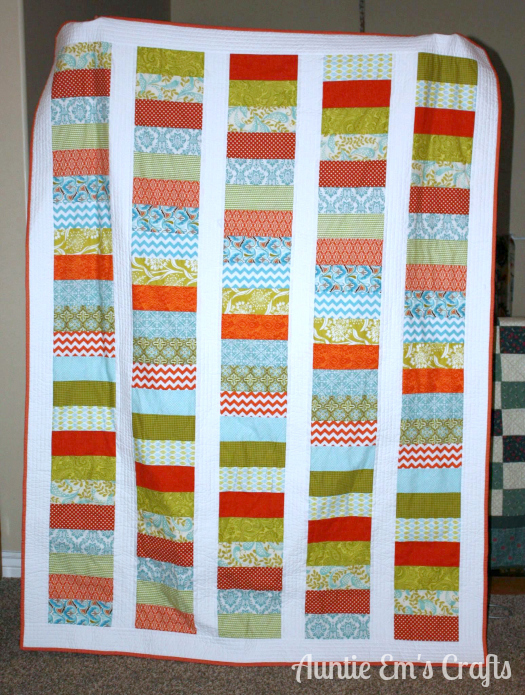 I added two more colors to the quilt to make it wider. I also added 10.5″ borders rather than 5.5″ to make it taller. 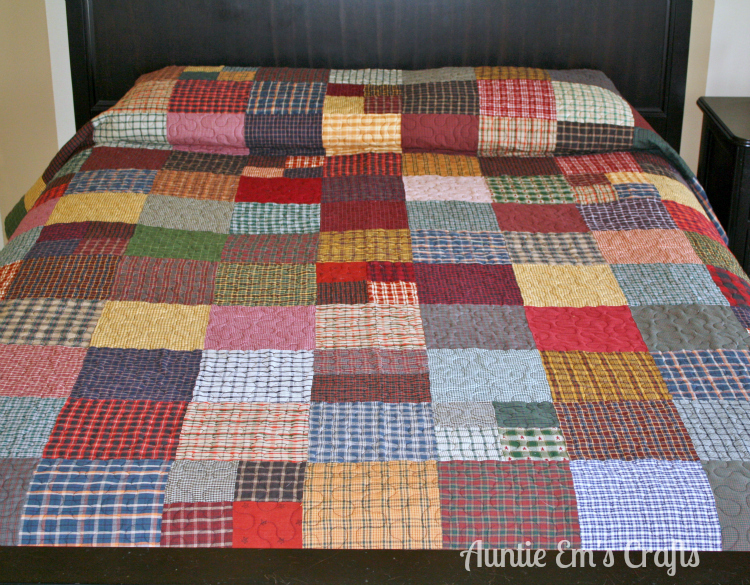 The finished size of this quilt is 50 x 70″. I sent it off to Quilting Together With Mindy.